Some say China is the country of 80-20, things are complete and great to 80% , the remaining 20% of polish is left hanging. The Mediatek CPU used in the Onion IoT modules suffers from a similar shortcoming. There is an working SPI bus, but it is simplex ( OUCH!!) . Simplex means only receive and transmit can take place at a time. 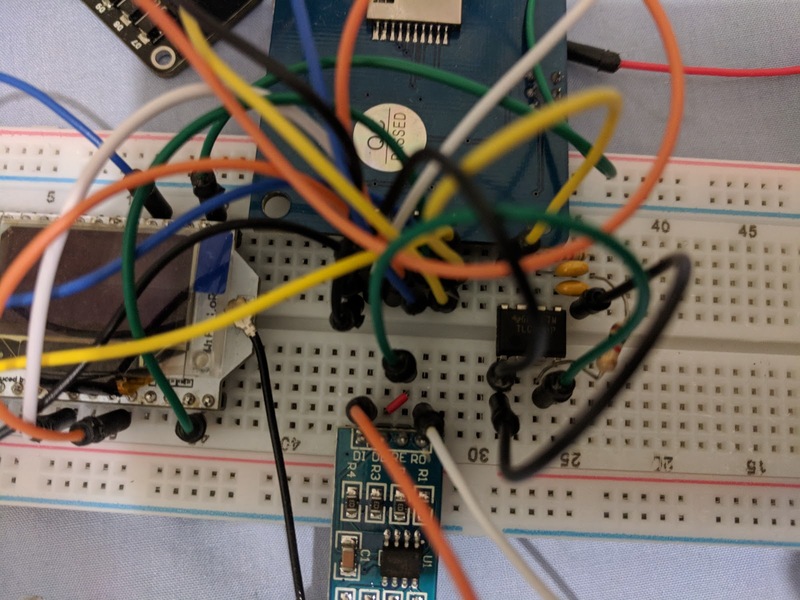 Immediately read-back a 16bit value over the SPI bus while the chip-select is held low. The proposed remedy to this after a bit of debugging and probing with logic analyzers is to directly use the user-space SPI c-library or to fix the python-spidev library with an xfer3 method which does a special write where the clock keeps going, the first bytes are written and next bytes are read. I have started on the path for fixing the Python library on my fork. OpenWRT build system seems happy with my efforts so far. It remains to be seen if we can communicate with the energy monitor ASIC's. Contributions are much appreciated. 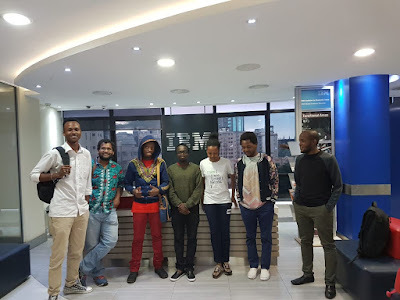 Last couple of Saturdays I finally got a chance to do out-of-work activities and I decided to attend the Nairobi AI Meetups in the IBM offices in the Atrium building. It is a great venue for learning and interacting with people in the community. The meetup can sort of be described as a book club for Stanford NLP AI/DL lectures series. I have encountered 2 possible formats so far, both of them are quite hilarious in execution. We watch the lecture at x2 or x1.5 speed during the session and have learning and discussions around the topic. This is somewhat limiting since we cannot ask the Stanford lecturer questions. So meetup participants ask each other. We get one or two of the meetup participant to watch lectures during the week and prepare reformatted slides from the content to present the lecture as a proxy of the Stanford lecturer. While the presenter is standing in for the original, we can ask the proxy questions and clarifications and have more interactive learning. This format is more fun, but requires more prep-work and effort from a couple of people. Increasing the pool of people doing this would be great. The last set of lectures we watched covered Tree-RNN's and Co-referene . The tree-RNN's are particularly powerfull in capturing the semantics of prose. The meetup could really use more linguists in the mix to clarify some of the linguistic features NN's can learn, this is a multi-disciplinary field after all. I will see if we can convince people from the Nairobi University Department of Linguistics to attend, the lack of recency on their website does not give me much hope. Riding in Adelaide especially during night can be a hazardous activity. You have to share the road with cars and pedestrians, staying safe from the former and keeping the latter safe. Avoiding pedestrians requires vigilance from the cyclists, but the attention of cars has to be drawn with bright lights. Often due to circumstances you might need to ride in the middle of the lane or cut across lanes to make a turn. During the day these activities are indicated with a hand signal, I made this project to translate those to bright lights controlled by your motion and muscle activity to obvious signals during the night. The controller used in this project is Myo Armband - it contains a 6 DoF IMU and 8 EMG sensors for muscle activity. The controller communicates to the BeagleBone via a BlueGiga BLE dongle, this appears as /dev/ttyACM0 on debian based images. The raw data from the sensors is processed using Scikits Learn and an NN-classifier to interpret the rider motions. The turn and stop activity is then passed over to a realtime controller (either the BeagleBone's native PRU or an external microcontroller like the Teensy) to drive a WS2812B LED matrix. 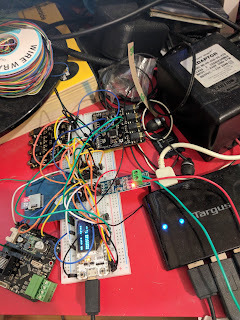 The BeagleBone Green is modified to add a JST connector to activate the on-board battery charge management system to use a Lipo for poweing the bike lights according to this how-to. See the images below for details of this modification. The whole system is wearable and battery powered. The LED matrix is stiched onto a high-vis jacket, a must for any night time riding and the Myo is placed around the fore-arm before starting the ride. Here is a video of the lights in action linked to gestures. Install git on BeagleBone Green and sync the date using ntpdate. Then checkout my repository. There should be 3 usb devices. The BeagleBone Green may need to be powered over USB instead of battery for the USB hub to power up and recognise the module. Install the dependencies for myo-raw. The myo-raw can also be installed under Windows or any other desktop environment to stream the data from the BBG and display it remotely. This will output controller codes to the Grove UART port /dev/ttyO2 to the display driver in sync with arm motion. A bit of looking at the experimental data and tweaking of the classifier may be needed to get it set to you movement patterns. That's it for the setup on the BeagleBone Green in the non-PRU mode. For the Teensy, clone the git repository as below. Install the Teensy add-on for the Arduino IDE as described here and upload the code to the controller. 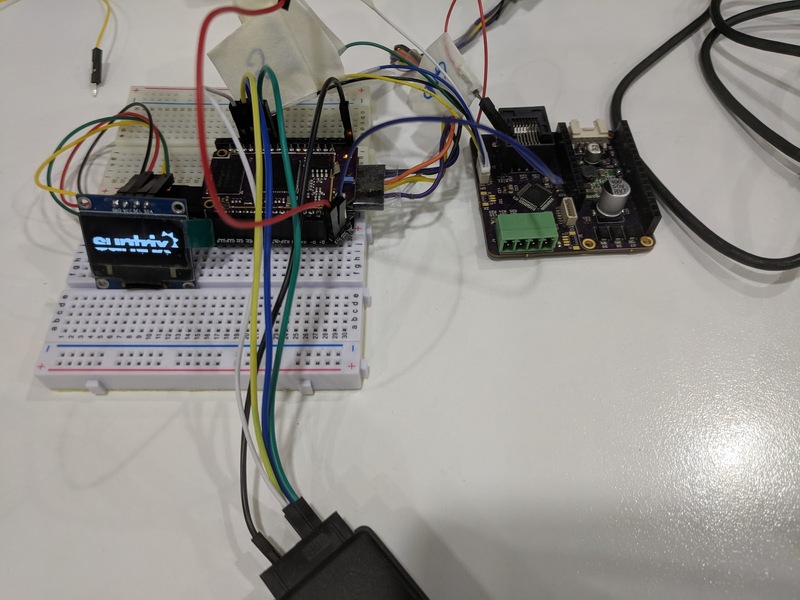 The LED matrix data pin is connected to pin 2 of the Teensy and the BeagleBone UART is connected to Hardware UART1. I power the LED matrix from the 3.3V output of the Teensy rated at 100mA, this allows safely connecting the 3.3 output signal to this particular matrix. 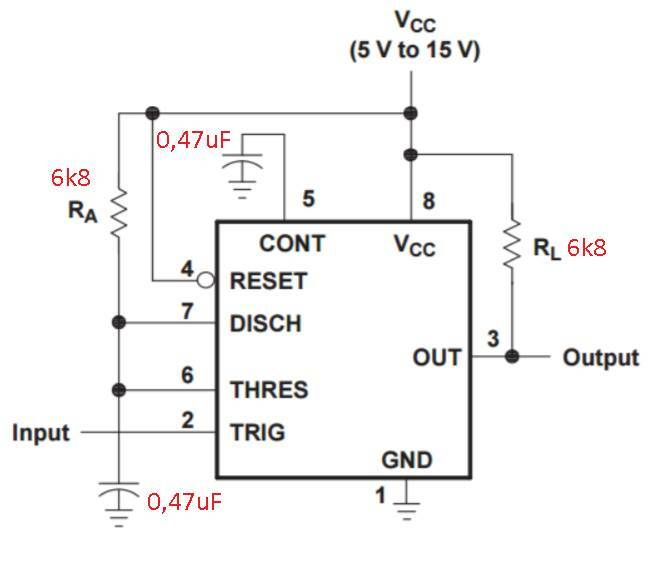 Larger matrices may require buffer IC's and separate power supply. The BBG 5V system pin is connected to the VIN pin of the Teensy for power supply off the battery/USB OTB connected to the BBG. That is all for the set-up of this simple but very useful project. The idea of re-purposing Atheros/Qualcomm router IC's as general purpose linux based controllers is not new. All those pins dedicated for ethernet ports are converted into GPIO's with proper muxing. I have been designing one myself to fit in the DIN rail using the Onion Omega 2 as the host processor. There are some road-blocks regarding the simplex SPI bus on the Mediatek CPU. TPLink seems to have gone the same route and built a smart-plug with and Atheros CPU. Again this blog post is meant to enrich the notes I already brain dumped on twitter. Power - Analog Devices/Linear Tech power AC-DC power IC. The footprint of this is an interesting variant of SOIC-8. Metering - This is done by the Maxim MAX71020A IC. Every electronics manufacturer worth its salt is creating metering ASIC's these days and I am excited about opportunities in making break-out boards and comparisons. TPLink seems to have bought up all the inventory of this particular Maxim IC and Maxim has a history of discontinuing low-margin lines the like MEMS accelerometers. I will keep an eye of the Poly-phase version which seems to be still in production (MAXQ3180). Overall this does not look good for the future of this particular smart-plug. Relays - x2 chunky 5v - 5A relays adorn the metering and CPU board. These provide the main functionality of the smart plug. Atheros/Qualcomm processor - This is the smarts in this smart-plug. Running standard open-wrt. The Maxim IC is of course on the SPI bus and other GPIO's are driving LED's , relays etc. Overall the lack of supply of the Maxim IC does not bode well for the future of this Smart-plug. It may find fun alternative uses as an always on linux node. Looking at other energy-monitor designs has been a past-time of mine and I recently the chance to teardown a Neur.io energy monitor installed along with many Tesla power-walls in Australia. This one had had some feedback of high voltage over the modbus and had fried itself. Despite best intentions with TVS suppressors etc. it could not take it anymore. In this blog post I will enrich some of the content I already posted on twitter with some more in-sights in energy monitoring and additional elements regarding current clamps. Current samplers with 1ohm burden resisors attached to CT's - Neur.io recently announced a flexible CT design which can make it easy to install and potentially universal in measuring AC currents via induction and DC currents via hall-effect. I dropped an multi-meter probe on the burden resistors just to check. Voltage samplers as tiny encapsulated isolation transformers - This approach can introduce some non-linearity due to hysteresis and phase-shifts in the transformer, transformers are also bulky. Since the transformer is under no-load, phase-shifts should be minimal. The advantage is built in LV isolation. There is a bank of x3 transformers to account for x3 phases. Energy monitor IC's - These are from Cirrus Logic (CS5467), the documentation says the IC is mainly for the Japanese market. Neur.io seems to be successfully using it in North American and Australian market. Main processor and wifi - Unfortunately the unit I had was going back to Tesla under RMA, so I did not have chance to take of the shield and probe the processor. However I would love some assistance in poking in there and exploring the possibilities of custom firmwares. Modbus - The meter has a modbus I/O port to communicate with other systems e.g. Inverter and Battery charge controller. Power Systems - This is a Recom SMPS (RAC05-02SC) module keeping with my idea of keeping custom subsystems as limited as possible and reusing tested components as much as possible. I have seen a lot of energy monitors include their own power sub-systems including the Sense and WattWatchers. This increases design complexity with perhaps marginal improvements in design flexibility and BOM costs. The module outputs 3W at 5V, giving some head-room for LDO/Cap based noise filtering. I have come to learn that DIN rails are not that popular in the North American market compared to the European and Australian market. Hence the overall brick packaging of the Sense and the Neur.io meters. Keeping the DIN form-factor requires a lot of combined mechanical and electronics design work as I have found out the hard-way. It is currently in my pipeline to create break-out boards for the CS5467 and test them out with common micro-controllers. This is a raw dump of notes I took on keep while attending PyconAU. Each to be fully expanded to an article on its own. Suitably redacted to keep my intrusive thoughts to myself. Persuasive, Referential, Literary, Expressive. Writing pull requests. Foucault on discourse. Think goals, Think audience, Write (structure, conventions). Active vs Passive (active is shorter). Bullets. Plain English, easy words. Edit. Find good writing. Forestry Data. User interface for developers. Access control , pagination. API versioning. Break in controlled fashion. Deprecation schedule. Accept versioning header. URL Path versions. Less emotional versions. Small changes version transformer. Django middleware. Standardized (familiarity, avoid pitfalls, standards win) - jsonapi.org (next,.previous), graphql, Basecamp. Swagger. OpenAPI, Swagger, tools, docs/code, reduce friction, automation. Db spatial extension. Point in polygon. i18n, l10n, language_code, locale, po (files translation). Language session choice flow. Url-conf. trans and trans block tag. Every file must have the i18n tag. Use lazy in models.py. makemessages in all depencies. Zh_cn. Model fields to enter data. Keep tables in _zh_cn. Transifix. Intercooler.js. CSOF… use web 1.0 submissions in a 2.0 way. Choose few fronts. Use different spacing. Curated fonts. Beautiful Web Type. Fontpair.co . Google Fonts. Making things clean (whitespace). Data analytics. Less is more. Unsplash, Photopin, Fiverr. Importance of imitation. Front end builder. Task queue/Celery. Postgres. Docker compose . Hypothesis for testing by schema. Always true unless there is a bug. Fuzz the code with variety of input. Faker. Django integration push model and clean up. Quick check. Use lib2to3 parse through Python code and refactor / reformat. Bowler, safe refactoring for Python. Reuse refactoring code. koordinates, geospatial data. Effective learning for programmers. Effortful retrieval. DRF model pusher. Ably, Django Channels. Wrapt, allows introspection of wrapped functions. Context manager. Cherrypy, Class based views. Falcon API first framework , fast, returns json for microservices. Hug with syntactic sugar. CCBV. Tornado, Async. Sanic. Celery message formats, task chaining. Disable pre-fetch, long running. Own task queue. RQ (redis queue). Huey. TaskTiger(distributed locking). Dask (pydata), scheduler distributes pandas and numpy dataframes. Task chaining, celery import chain. RQ failed queue. Kafka stream processing. React and Socket.io. HTML5 gyroscope API. RNN (Fast.ai), pre-trained model zoo. The journey down this particular rabbit hole started with this challenge "Create Read-replicas for MSSQL 2017 database hosted in RDS". Hosting services on AWS typically reduces IT load and makes focus on product development easier, however there are certain edge cases where AWS falls down and requires special intervention. The above challenge turned out to be one of them. RDS supports seamless read-replicas on a lot of other types of databases , however MSSQL is not one of them. The recommended approach for creating read-replicas for MSSQL is to enable CDC and do so using DMS (Database Migration Service). This is similar to what the RDS does internally for multi-AZ redundancy. We hit another edge-case here, DMS replication support with CDC does not extend to the 2017 version. We did manage to run DMS successfully from MSSQL 2017 to S3 as sort of a disaster recovery measure. Then I was stuck with the conundrum of what to do with the CSV table dumps this got me, at the AWS Summit in Cape Town one of the solution specialists introduced me to Athena and the adventure began. Athena is essentially a managed Apache Hive based map-reduce setup which can churn through webserver logs or in this case CSV's to give me back the database I was replicating. The replica is not perfect, it is missing stored procedures and views. These need to be redone in HiveQL. All tables can be mapped using corresponding schema and DDL to Athena tables, thus replicating fully the database without foreign keys and other niceties. AWS now has cross region S3 replication , this coupled with Athena can give a very Rube-Goldberg cross-region database replication. Athena is also particularly useful with scrapers where data is being collected from 3rd-party sites and consolidated into S3 tables. It can seamlessly blast through millions of rows of scraped data for goodies in seconds. This post is a WIP and will be enriched with Athena goodies over time. Lora, Wifi and Bluetooth thanks to Lora32_Wifi. 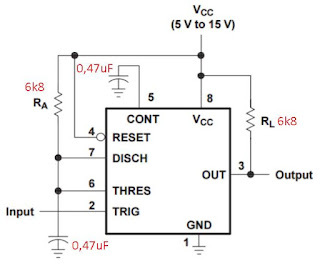 3.3V differential line driver for RS485 bus driver. Some GPIO's for triggering relays or receiving inputs. With all these features consuming pins on the ESP32 module I eventually ran out of pins to attach to the RTS line for the RS485 line driver. I could have added many more pins by using an I2C ioexpander and solved my issues, however the RS485 bus on this thing is half-duplex, so there is a much easier way to do this which does not involve any code. The trick is to use the NE555 in one shot mode, trigger it for a transmit, then let it fall-back to receive after a set period of time. The NE555 is useful in so many ways.